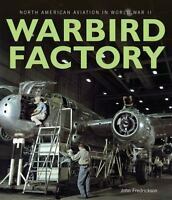 Paine Field by Steve K. Bertrand (English) Paperback Book Free Shipping! Details about Images of Aviation Boeing Paine Field in Everett Washington by Bertrand Steve K.
Images of Aviation Boeing Paine Field in Everett Washington by Bertrand Steve K.
Nevada Test Site (Images of America) by Merlin, Peter W.
Paine Field was named in honor of hometown hero Topliff Olin Paine, an Army Air Corps pilot during World War I. Located 6 miles south of Everett and 20 miles north of Seattle, Paine Field-- known as Snohomish County Airport--got its start as a WPA project in the 1930s. Situated on 1,000 acres, this airport was shaped by numerous events, such as World War II, the Korean War, and the arrival of Boeing, as well as social, political, and environmental issues that continue to influence its destiny. Throughout its 77-year history, Paine Field has continued to evolve into a thriving aviation community. At the heart of its success has been the key role of general aviation. A rags-to-riches story, Paine Field has grown from a small regional airport into an aeronautical complex that garners worldwide attention.